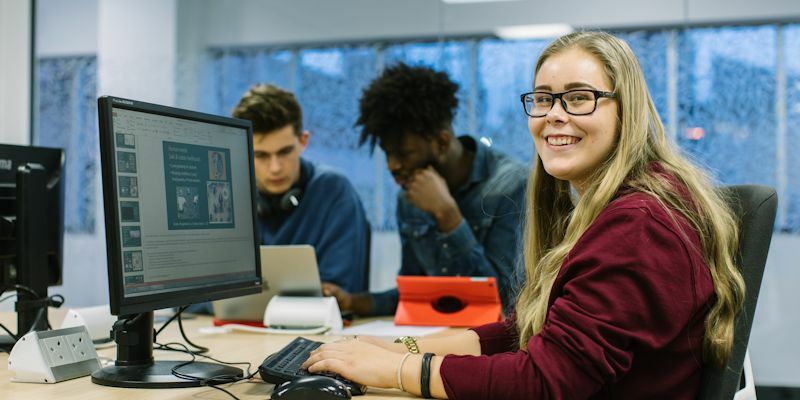 Our close working relationships with a large number of key companies means that throughout your degree you’ll be exposed to industry and prepared for a career in a professional environment. 98% of our recent graduates are employed or in further study within six months of graduating, according to the Destinations of Leavers from Higher Education survey 2016-17. Visit our course pages for more course specific career destinations. We advertise a range of smaller, 8-12 week paid internships in local SMEs, charities, University of Leeds departments and multi-national organisations. Over half of these opportunities are exclusive to University of Leeds students, meaning that the number of students you are competing against is lower than if it was a national scheme. As part of our developing relationship with The Environment Agency we are able to offer paid summer internship opportunities to our undergraduates.The Environment Agency monitors and evaluates the state of the environment, manages assets such as flood defences and provides excellent customer service to the public and business providing information, support and advice. The placement programme is to be based in the Environment Agency’s Operations Directorate. This Directorate delivers much of the operational work in the environment, including sampling and monitoring, as well as local customer service across the Agency’s 14 operational Areas across England. There are 15 placements available for summer 2019, please contact Tessa Grant for more information. I've really enjoyed the internship so far and the projects I've been able to get involved in. It's been a great opportunity and the team have been exceptionally welcoming and helpful. I can't wait to see what's in store over the next few weeks.